If there is one thing I have learned over the past couple of years it is that I am willing to go to great lengths to find great donuts, because Utah doesn’t have many great donut shops I often have to drive 40 miles or more to find these place. 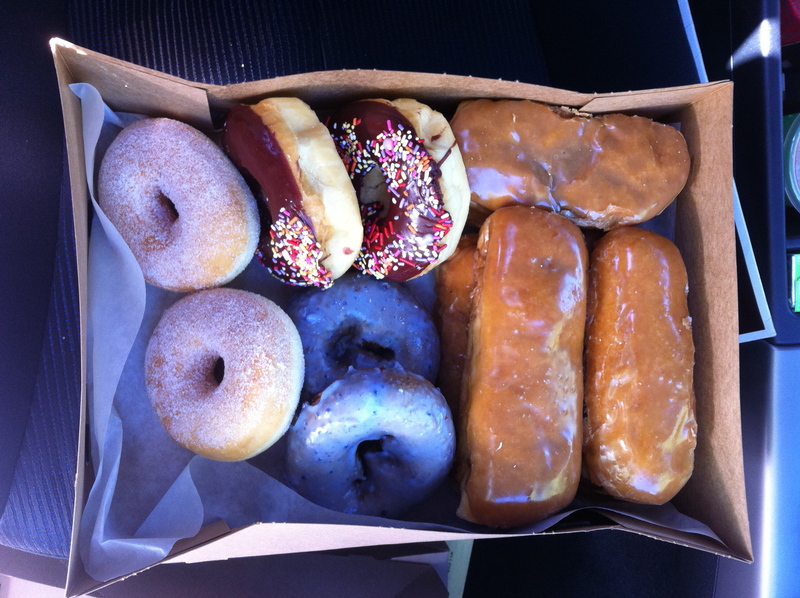 Well recently I made such a trip, and the donuts were so good I would gladly go out of my way to pick up another dozen. 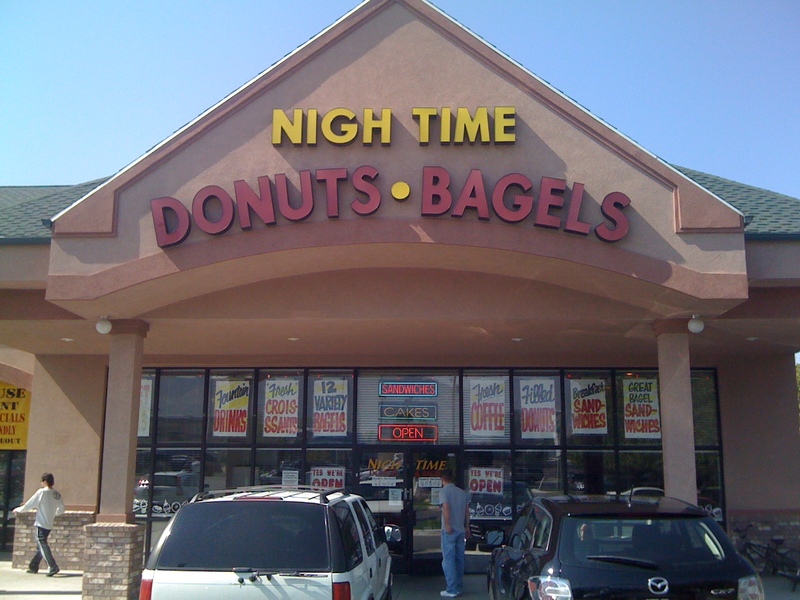 Nigh Time Donuts in Tooele is a large donut shop serving some of the better donuts in Utah. These donuts are light and sugary, each bite containing the perfect ratio of bread to frosting. The maple bars are amazing, the chocolate cake donuts are great, the jelly filled donuts filled on the spot at the time of request, the people of Tooele have a lot to be thankful for. What I found odd is that people out there don’t even realize how lucky they are to have such a great donut shop nearby. I guess if you can always get your donuts from Nigh Time you don’t think about the grocery store garbage the rest of us settle for. I have reviewed other donut shops and to be honest Nigh Time is not #1, I still think that award goes to Banbury Cross Donuts, but the gap between number one and number two is not that big. When it comes to picking a donut shop I would say it is a location thing, measure the distance and make your choice, Banbury or Nigh Time you can’t go wrong. If there is a donut shop I haven’t tried please let me know in the comments, I have yet to review Daylight Donuts or My Sugars but after that I don’t know of many more places to try, I heard rumor of one on State Street in Salt Lake County but I am not even sure where that one is yet. If you haven’t yet, make sure to check out in Clearfield. I am going to have to look into that, I had never heard of it before you mentioned it. Thanks for the heads up.